Style #CP650 Mink Touch throws are made of silky smooth anti-pill polyester and measures 50″ x 60″. 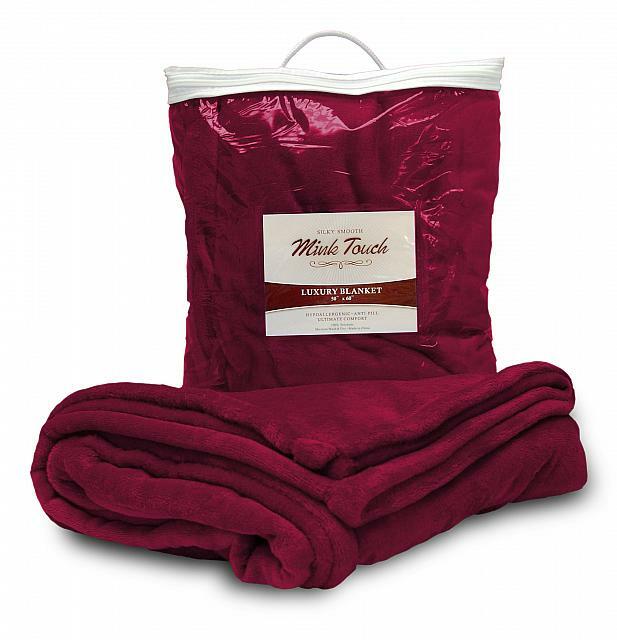 Blanket edges feature a decorative top stitch finish and are machine washable and dryable. Each throw comes packaged in a clear vinyl case with handle. Colors include Black, Gray, Hunter, Red, Cream, Navy, and Royal.